Only four teams remain in the MLS Cup playoffs, with the final set to be played on Dec. 8. The Conference Finals will begin their home-and-away matches on Sunday, and the only certainty is that the two teams that battled it out for the Cup the past three years will not be doing so again, as they’ve both been eliminated, Seattle lost in the previous round to Cascadia-rival Portland, and Toronto failed to qualify for the playoffs altogether. Now that we know which four teams are set to compete for the Cup, we’ve attempted to predict who will go on to play in the pivotal match next month. Being able to evaluate teams head to head is one of the most important football betting strategies, especially in high-stakes football matches. Atlanta United impressed in the last round, beating New York City FC twice by an aggregate score of 4-1. The Five Stripes have a treasure trove of offensive stars led by 2018 Golden Boot winner Josef Martinez, and fellow MLS Best XI player Miguel Almiron. Along with Tito Villalba and Ezequiel Barco, this is a team that has little problem finding the back of the net, having led the MLS with 70 goals in the regular season. If they have a weakness, it is in their defensive back line, with Jeff Larentowicz (age 35) and Michael Parkhurst (age 34) well past their prime. Then there is the issue of manager Tata Martinez leaving to manage the Mexican National Team after the season, which might prove to be a distraction for his players. The Red Bulls had a banner year, clinching the Supporters’ Shield with 71 points, along with a league-leading goal differential of +29. Their offense is led by striker Bradley Wright-Phillips, the MLS’ all-time leader in goals scored during the regular season. Danny Royer provides some offensive firepower as well. They are ably supported in the midfield by 19-year-old Tyler Adams, who will be leaving to join RB Leipzig in the Bundesliga at the end of the team’s 2018 campaign. The defense is anchored by MLS Defender of the Year Aaron Long, and veteran goalkeeper Luis Robles. Since taking charge of the team from Jesse Marsch during the summer, manager Chris Armas has maintained continuity within the squad, to propel the Red Bulls to this stage of the playoffs. Prediction: Statistically, these were the top two teams in the league in 2018, and these two matches are expected to reflect that. Atlanta is currently listed as a -125 favorite in Sunday’s match, and you can get solid betting advice for it on this popular betting website. In the end, however, the discipline and poise of the Red Bulls will ultimately prevail by an aggregate score of 4-3, seeing New York through to the MLS Cup final. 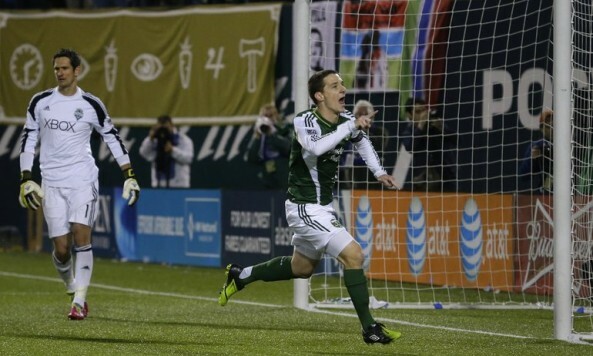 After a string of 15 straight unbeaten matches from April through August, the Timbers seemed to cool off toward the end of the season, but managed to hold on to a playoff spot. Having to play against Dallas in a single-elimination match, they beat the odds by defeating their opponent, 3-1. They then eliminated the Seattle Sounders — last year’s Western Conference winner — on penalty kicks. Portland will rely heavily on their defense, with veterans Liam Ridgewell and Larrys Mabiala anchoring their back line. Their midfield is led by stalwarts Diego Chara and Diego Valeri, who are known for their ability to push the ball forward into the final third of the pitch. Jeremy Ebobisse is a potent striker, who was promoted to the squad in the summer from Portland’s USL affiliate. First-year manager Giovanni Savarese has done a credible job with the Timbers, having arrived from the now-defunct NASL New York Cosmos earlier this year to advance the Timbers to their furthest point in the playoffs since they won the Cup in 2015. Their opponent, Sporting Kansas City, is the top-seeded team in the Western Conference, with a goal differential of +25. Led by veteran MLS manager and former MLS defender Peter Vermes since 2009, SKC generally line up in a traditional 4-3-3. relying more on possession, and less on pressing their opponents. Look for right-back Graham Zusi to occasionally push up to the midfield and not much further, relying on the talents of midfielders Roger Espinoza, Felipe Gutierrez and Ilie Sanchez to control the middle of the field. Up front, SKC relies on strikers Daniel Salloi and Scottish international Johnny Russell. Salloi is a homegrown player who had a team-high 15 goals in all competitions. In fact, SKC as a team put more shots on frame than any other MLS squad during the regular season. Prediction: These two matches will likely come down to a battle of the midfielders, with the SKC trio of Espinoza, Gutierrez and Sanchez battling against the Timbers’ two Diegos — Chara and Valeri. In the end, SKC’s speed will prove to be too much up front for Portland, and they will advance to the MLS Cup final by an aggregate score of 3-2.